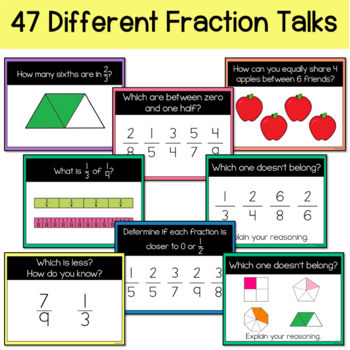 This number talk resource provides you with 47 different fraction talks to use with your upper elementary students. 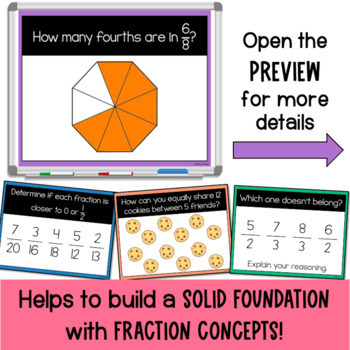 Using this set of fraction number talks will help you strengthen your students understanding of basic fraction concepts. A variety of problems and images will get your students talking about strategies and using fraction language to discuss their thinking. 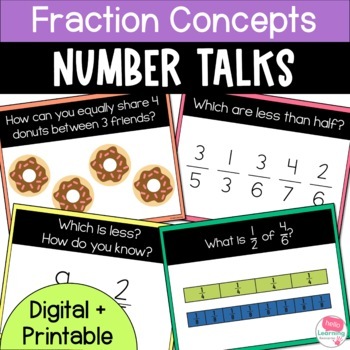 The fraction talks in this resource are perfect for upper elementary students: 3rd, 4th and 5th grade. Please see the preview to view the different types of problems included. 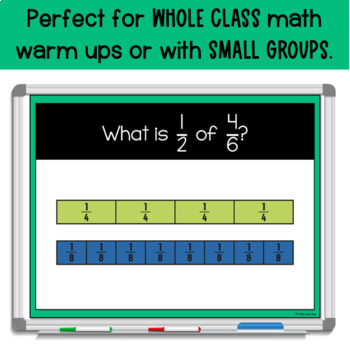 This number talk resource gives you a quick and easy way to help your students apply the eight common core state standards for mathematical practice. This set of number strings will provide your students practice with the basic fraction concepts they need to be successful in further fraction study. Follow me and be notified when new products are added to my store. New products are always 50% off for the first 24 hours they are posted!